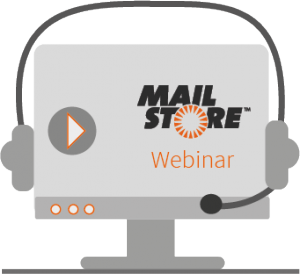 In our one-hour MailStore Server webinar, we’ll show you how email is archived and exported, how users can access their archived emails, and how user accounts are created. We’re also excited to tell you more about the unique storage technology MailStore Server uses. Interested? Register now right here and experience MailStore Server for yourself. If you would like to take a look at our email archiving solution MailStore Server before the webinar, please check out our product video. In the webinar, our speaker will also talk about the retention policies in MailStore Server. Their use is also explained in detail in a video from the series “Tech Tip”. Are you interested in our SPE webinars? Then register now. Pssst! Here’s a little tip: Contact partners@mailstore.com for interesting info on promotions for new customers. Questions that arise during the webinar will of course be answered. If you have questions after the webinar, please contact our support team.